Don't get me wrong, I love Evernote and it has been a major part of my life since I started using it but I'm just having too many issues with the Windows version. 1. It is constantly freezing or "not responding" and slowing me down considerably. I've posted about this but got nowhere with it. 2. I have been running in to a new issue, which is even more frustrating then the above, when I click on a tag the note window is completely blank. 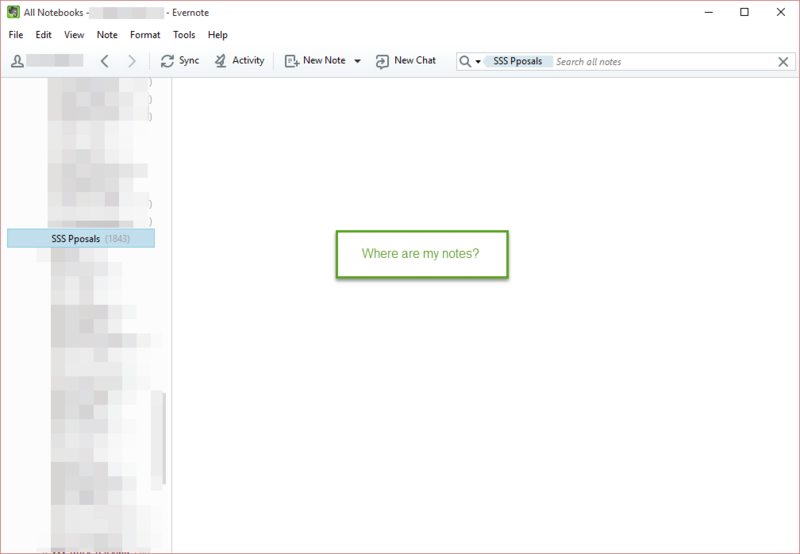 It doesn't matter if I have 1 note or 200, I cannot get it to show me the contents until I restart the Evernote. I use Evernote for work and personal so I rely on it heavily but it's just not reliable. I've already started moving my contact information to a contact database since that is better suited for them. This leaves the rest of my information, which is still a lot. I don't want to move but Evernote is forcing my hand. I found another topic where they said to reestablish the database. Going to give that a shot. Some users seem to suffer from slowness and freezing, but most appear not to have the problem. It may be a local issue with your database, installation, device or connection - check out the Help Center too for possible assistance - the link's in my signature.